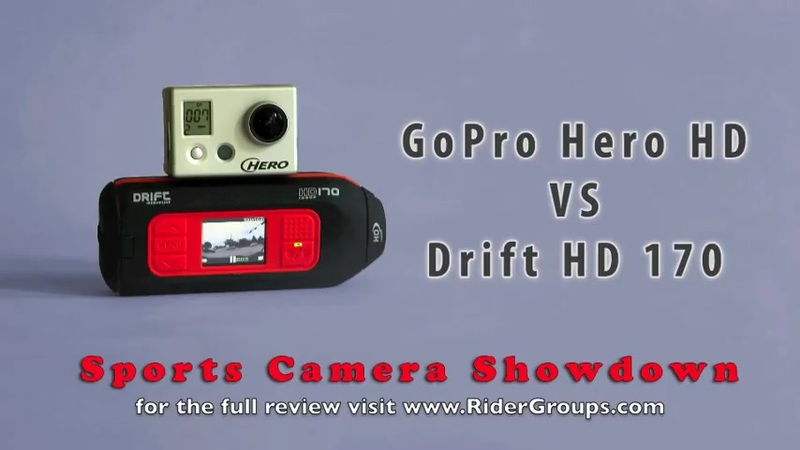 The GoPro Hero HD vs the new sports camera on the block the Drift HD170. Visit www.RiderGroups.com/SportsCam for the full review. If you are looking for a camera to mount to your motorcycle you can not go wrong with either of the great POV (point of view) cameras.